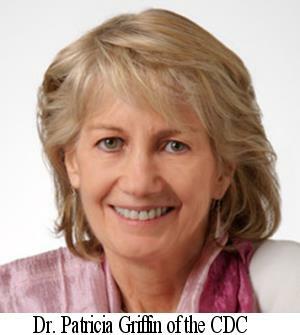 Dr. Michael Taylor, Board Co-Chair of Stop Foodborne Illness, formerly the FDA Deputy Commissioner for Foods and Veterinary Medicine has announced that Dr. Patricia Griffin of the Centers for Disease Control and Prevention has been appointed to the Board of the organization. Dr. Griffin obtained her MD qualification from the University Of Pennsylvania School of Medicine, interned at the University of Pennsylvania, Teaching Hospital and served as a Fellow in gastroenterology at Brigham and Women’s Hospital in Boston followed by the CDC Epidemic Intelligence Service Fellowship. Dr. Griffin is a leader in the research and investigation of foodborne disease, co-authoring more than 235 journal articles, book chapters and other publications. Amanda Craten, an educator and food safety advocate from Arizona has also been appointed to the Board. The youngest of her three children, Noah, succumbed to salmonellosis in 2013 as a result of consuming chicken produced by a West Coast integrator contaminated with S. Heidelberg.